Publisher: Boulder, CO: First Forum Press, 2014. 198 p.
With over two million Americans behind bars, the growth of mass incarceration and the movement toward privatized corrections has stimulated a needed discourse on the growth of the private prison industry, the relationship between private versus social interests, and the creation of justice policy. Cashing in on Crime, the Drive to Privatize California State Prisons by Karyl Kicenski traces the development of complex social, economic, cultural, and political events in California in order to understand the rise of mass incarceration in the state, and how privatization has grown into a highly profitable prison-industrial market nationally. While the title suggests that the focus of this book is about California, the argument Kicenski constructs is far broader in scope. It is applicable to the nation as a whole in explaining how 118 privatized facilities in 1996 grew to 264 facilities housing over 99,000 inmates across several states. 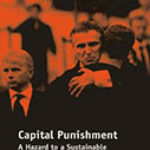 Kicenski presents a tightly crafted blend of civic sociology and critical cultural studies that moves the study of penalty to a higher level of inquiry. He traces the process by which punishment is used to construct meaning, define racial, ethnic, and class identities, and create new opportunities to commoditize surplus populations. This book provides a thoughtful critique of the complex processes and relationships that enabled the prison, as well as other public institutions such as education and the military, to develop as a market. Kicenski exposes the interlocking and interchanging directories existing between managers of large private companies and executive level federal and correctional administrators. He offers an in-depth analysis of the nature, efficacy, and ethical relevancy of these relationships, questioning whether they can be disentangled. The author’s main argument is that the economic, legal, and political structures driving the privatization movement cannot be analyzed separately or within a vacuum, but rather as comprising a complex, interactive matrix that simultaneously shapes and is shaped by dynamic and symbiotic processes that construct knowledge, meaning, and ideologically-driven public policies. Due to a historically unique interaction of economic conditions, cultural trends, and socio-political processes and relationships, an ideology of fear and misinformation developed that transformed the discourse about crime and punishment in California. This discourse motivated the creation of penal processes that were produced by and reproduced a culture of crime and penalty with unintended consequences for civic and social life. This book offers a cohesive analysis that incorporates multiple perspectives usually only obtained through edited editions with individual articles utilizing a range of theoretical frameworks. While such anthologies are undoubtedly valuable, the unique contribution of this book lies in the thoughtful way that each point of the analysis is theoretically grounded within a coherency of thought that can be difficult to achieve in an edited collection. Kicenski’s dialectical approach moves beyond a linear progression of events to allow for a dynamic analysis of how state political economies and motivations extend beyond the desire to control crime, punish offenders, or even increase profits and coalesce to create a variety of special interest group relationships that shape and channel public ideology and discourse pertaining to crime, punishment, and the creation of policy. His argument is supported by evidence drawn from an array of sources ranging from scholarly to social media which are effective and persuasive. It goes beyond examination of market incentives alone to offer a critique of privatization as a form of economic development in struggling communities, and the ethics of profiting from punishment. Like other works, this book delineates the political economy and sociological climate that led to an era of punitive legislative policies that caused an unprecedented growth in incarceration with unintended fiscal and societal impact. It bears further similarity to other works in its view of punishment as a means of increasing profits, manufacturing power, and structuring social relationships. Its uniqueness is its inclusion of the influence of groups previously omitted from other studies, such as guards and victim and prisoner rights advocates on the development of penal policies. Through interest-driven discourse, privatization enabled a range of stakeholders to realize their separate purposes. In the process, criminality and penalty were redefined and the power to punish was reallocated. Furthermore, once constructed, private prison markets give rise to other industrial and labor markets. Even criminal markets are fostered as a culture of crime is perpetuated by the very policies intended for its containment. While the book’s primary focus is understanding the forces underlying the push toward privatization and its consequences, its outcome is far more encompassing. An important question raised for future research is that of how public responsibility and corporate profits are able to “co-exist within the boundaries of the state” (p. 12). As the debate deepens nationwide over the feasibility of mass incarceration, private companies have gained a foothold in the punishment business that they are unlikely to relinquish. In anticipation of reforms that will reduce the demand for prison beds, private companies are branching into supervision services and community treatment programs. Large companies are purchasing smaller ones that hold service contracts in a range of service areas signifying an uncertain future, at least in California, if not nationally. Despite current trends that suggest a movement toward deinstitutionalization, the high number and diversity of stake holders in the prison industry make it unlikely that privatization will disappear or that meaningful penal and sentencing reform will occur. 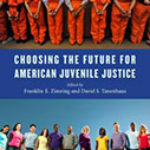 This book provides a cogent understanding of an issue that will continue to inform and challenge the justice system in California and the nation in the years ahead.